Were has the time “flown”? It seems like yesterday was Valentine’s Day! 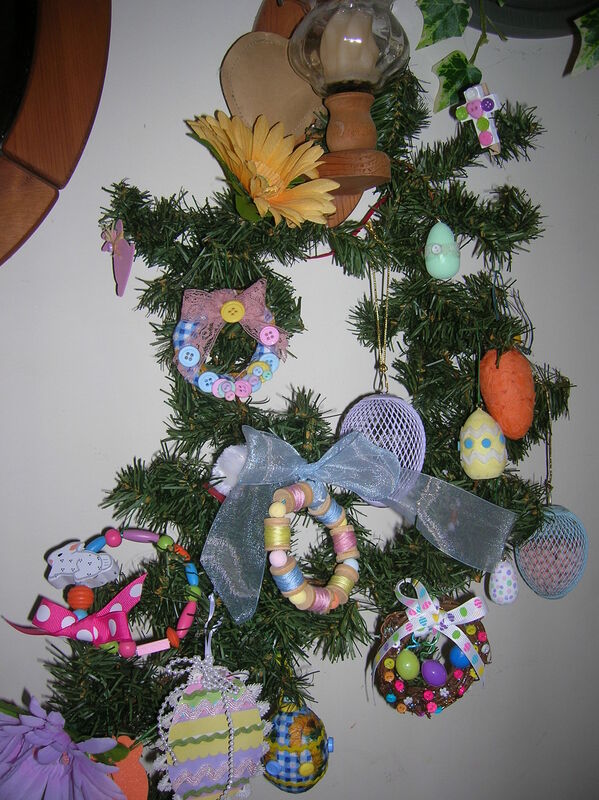 I wanted to share with you my Easter Garland. I’ve done tutorials on some of these and will post the last few after Easter so you can get a jump start on next year! Why am I craft blogging on Easter? because I am “home alone 2”. I stayed at home on Christmas because I had just had surgery. Now I have planter fasciitis (inflammation of the covering of the muscle on the BOTTOM of the foot) and each step is so painful (even with that drated boot!) that I didn’t go to Easter dinner either. So y’all eat some ham and coconut cake for me! I hope everyone has had a Blessed Easter!